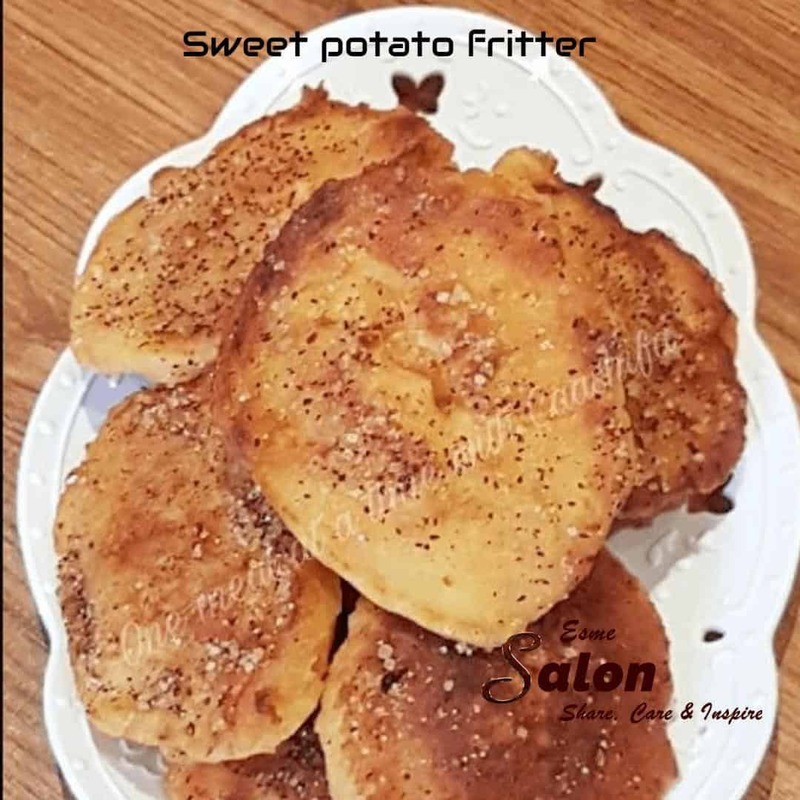 Sweet Potato Fritter, something sweet for iftaar. Enough milk and or water to make a thick batter. Peel the sweet potato and cut into small cubes. Add the cubes and salt to a glass bowl and microwave for 4mins till tender. Mash roughly then add the butter, sugar and vanilla essence and mash again. Add in 2 eggs and stir well to combine. Add the flour and baking powder with 1/4 cup of milk. Stir well and adjust the thickness of the batter by adding more milk or water. Scoop a Tblsp of batter into the pan and fry till brown and bubbles have formed on the top, flip and fry on the other side. Sprinkle with cinnamon sugar before serving. Mix the ingredients together and store in a sealable container. 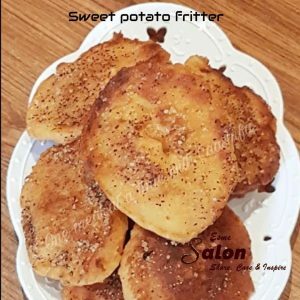 Looking to make more fritters? I love sweet potato Esme so I’m definitely going to give these a try. Thanks so much for the recipe.